Capcom seemed to feel the need to reintroduce Mega Man to a new generation and release the Mega Man Legacy collection six months ago on the PS4, Xbox One and PC in digital format. These ports were advertised to accurately represent the original 6 NES games and do them justice. They also announced a 3DS version and physical versions of the previous releases to be released later. To me this sounded incredible and I pre ordered immediately. I will not go into the actual games too much since we have reviewed quite a few of them already, but rather look at how this collection presents these games. Each game allows you to play with or without a border, which is pretty cool. The bottom screen shows you the box art for each game which is also nice to look at, but at the end of the day is really only there to fill up the otherwise mostly unused touch screen. However it is always the Japanese box art being shown, not the Western one(s). There is a gallery mode where you can look at both the English and Japanese box art. You can map jump and shoot to whatever button you like, but unlike previous compilations and releases, there is no slide button or the ability to use the R/L buttons to switch your weapons, which is disappointing. Before you say: “Well the NES games didn’t have that”, this collection has a rapid fire feature AND save states. So they are implementing features to make these games “Easier” to play, its just weird that R/L weapon switching and slide button are not those features especially since the previously released Anniversary Collection had both. The games themselves have quite a bit of slowdown in certain sections of the game. And I’m not talking about slowdown that was present in the NES versions; I’m talking about new slowdown. It is most noticeable in Mega Man 5 where the game’s frame rate appears to take a huge hit for a good amount of the game. I am completely unsure why this is the way it is and unfortunately it seems this bug was completely missed during development with no word on whether or not it will be fixed. There also appears to be some minor graphical glitches and input lag. 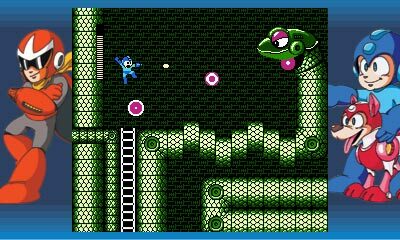 If you play the NES versions of these games, you will notice that Mega Man appears to be significantly more responsive than he is here. I hear the PlayStation 4 version of this collection had audio issues, but this has since been patched via a recent update. On a positive note the Legacy Collection features some nice extras. There are multiple databases with artwork and you are given the ability to fight any robot master you want from the menu screen. This is a nice way to practice your skills in case you want to see if you can beat them with just the arm cannon only. There is also an option for you to listen to all of the excellent music across the series. Perhaps the most interesting is the Challenge Mode. 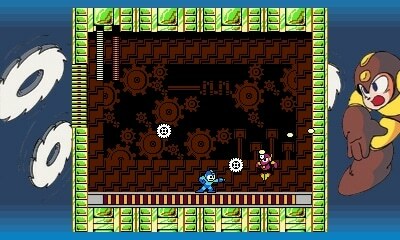 This puts Mega Man in various situations or combinations of obstacles throughout the six games. You are ranked based on how quickly you can complete these. It’s a fun mode, however there is one problem. 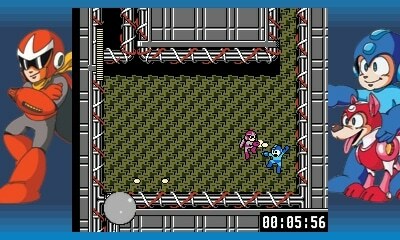 If a section from Mega Man 5 is part of the challenge, the game will slow down significantly because of how Mega Man 5 runs in this collection. If you use the Mega Man amiibo, you will also unlock a few more challenges for you to play. Now I have been mentioning Mega Man 5 a lot in this review. That Mega Man in particular runs horribly. However, the collection has yet another new addition: the ability to play the Japanese versions of each game. 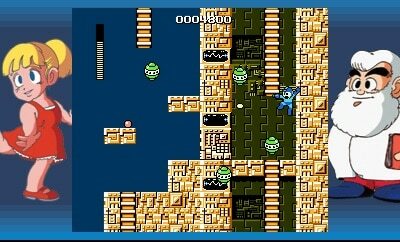 For some reason, Rockman 5 runs significantly better than Mega Man 5, so if you want to play it, make sure you switch to the Japanese version. For $15 as a digital title and $30 for the physical version, Mega Man Legacy Collection can provide hours of fun. I spent about 14 hours playing this title and finishing each of the games. Mega Man games are so fun to come back to and replay to see how fast you can complete them. Unfortunately, with the input lag, additional slowdown and graphical glitches, this is not the best version of these games. Which is unfortunate, because the whole point of this release was to preserve the experience exactly like it was on the NES. Instead we have a collection that while playable, seems to introduce new issues that were not present in the original versions or even the Virtual Console releases also available on the system. The NES games today are getting a bit pricey especially Mega Man 5, so this is definitely a cheaper alternative. The problem is that one seems to run the worst of the six games. Overall, with the Mega Man Legacy Collection you are paying for convenience and quantity but not necessarily quality.